The new FedEx Kinkos located at the corner of Mill Road and Eisenhower Avenue opened this past Monday. 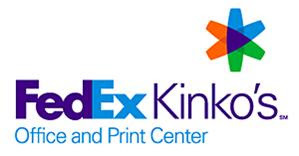 FedEx Kinkos offers copies, packaging and shipping services, signs and graphics, photo services and more. The store hours at this location are: Mon – Fri 7:30am – 9:00pm, Saturday 10:00am – 6:00pm, and Sunday 12 noon – 6pm. If you are shipping something by FedEx, the last pickup at this location are Mon – Fri 7:30pm and Saturday 3:30pm.